Australian scientists were able to produce kidney tissue by turning stem cells from human skin into two of the main structures found in the kidney: the collecting ducts and nephrons. 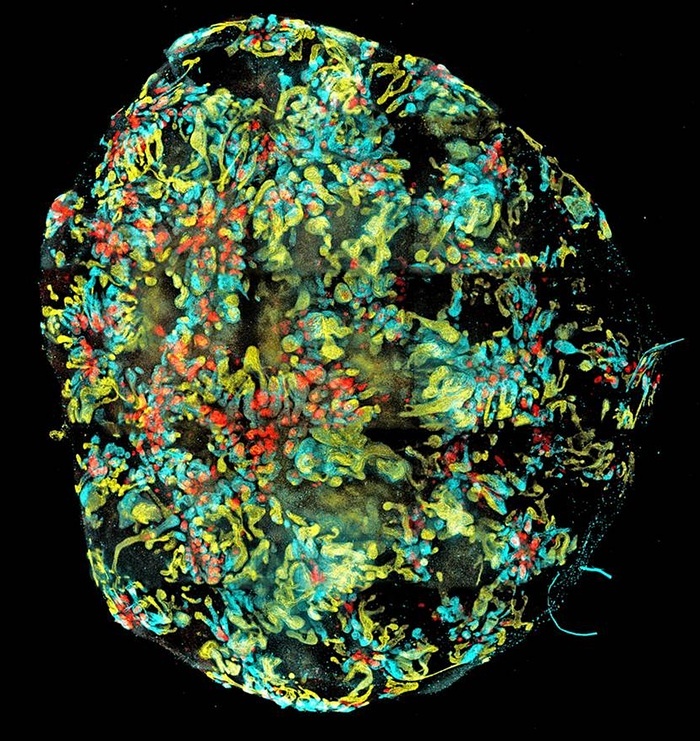 The team said that the cells clumped together into complex kidney organoids “spontaneously,” which then led to the discovery that connective tissue and blood vessels found normally in fetuses’ kidneys were formed as well. Until now, it has been a struggle for scientists to get stem cells to form into different cell types found in the kidney. While the current organoids produced are no where near ready for human transplant, they will still be incredibly useful for screening drugs for toxicity and recreating genetic kidney diseases for study. This work comes after the news that other scientists have succeeded in using stem cells to produce pea-sized miniature stomachs and rudimentary eyes.